Visions of Jesus Christ.com - Marthe Robin - Stigmatist. 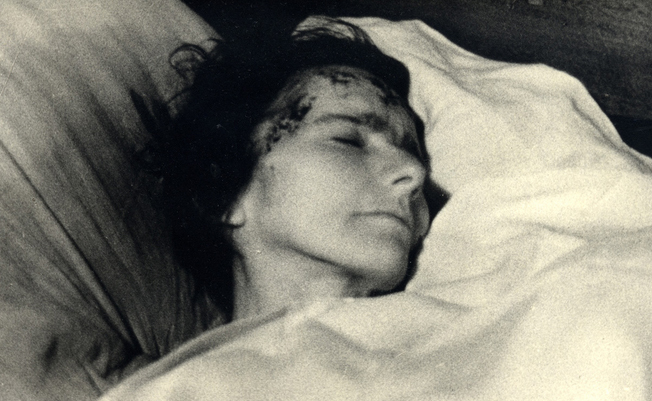 Photos are of Marthe Robin with visible stigmata. Read/view a full write up on Marthe Robin [here]. She was a peasant of the French countryside, who for thirty years took neither food nor drink, nourishing herself instead on the Eucharist alone, and every Friday she relived the pains of the Passion of Jesus through her stigmata. Marthe was born on the March 13, 1902 at Châteauneuf de Galaure in in South Eastern France. Her parents were modest country people, believers but not practicing Christians. In 1918, Marthe was attacked by a very disparaging [withering] ailment. For a period of ten years, the disease sometimes seemed to regress but increased at other times, bringing alternately feelings of hope and despair, a situation which was quite hard to cope with. In 1927 she was completely paralyzed, without any bright future. A Transfigured Life. In 1928 her life took on another turn. Priests on mission in the Parish Village of Châteauneuf came to visit her. She confessed and received Holy Communion. What happened on that day? Martha never narrated what she lived interiorly. However, her life knew a decisive turning point. She understood that her sufferings, lived with God and offered, could become fruitful. “After many years of anguish, after many physical and moral trials, I dared, I chose Jesus”, she said. From then on, her disease was part of her spiritual life. Marthe drew from prayer, from the Holy Eucharist, and from an intense union with God, an inexplicable strength and radiance that attracted all those who came into contact with her. Her union with God became such that it was associated with the sufferings of Christ in his Passion and she relived this in her own flesh the stigmata. Towards the end of September, 1930, Jesus appeared to Marthe and asked her “Do you wish to be like Me?” She did not know exactly what our Lord meant by this, but recalling that she had offered herself completely to Him five years earlier, she wanted everything that He wanted. She at once made her “fiat” with all the love and devotion of her heart. Sometime during the early part of October, Jesus Crucified appeared before the eyes of Marthe. At once he took her paralyzed arms, rigid since February 2, 1929, and opened them wide. At that moment a tongue of flame leapt from his side, separated in two, and struck both of her feet and both of her hands; a third tongue of flame struck Marthe on the heart. She bled from her hands, her feet, and her heart. Later, whether it was the same day is not known, Jesus imprinted his crown of thorns on Marthe's head. The marks extended down to her eyes and bled freely. This crown appeared on her forehead "like purple veins"; several months afterward (at Marthe's request, as an act of humility) they completely disappeared. Still later, Jesus intervened again, imposing upon Marthe the wood of the Cross; Marthe felt crushed-dislocated because of the burden of the Cross with its enormous weight. Her parents saw their daughter covered with blood, and were overwhelmed. According to Marthe, her mother "understood that this condition had come from God with Marthe's abandonment to the Divine will." On the Friday following her stigmatization, Marthe began to relive the Passion of Jesus. 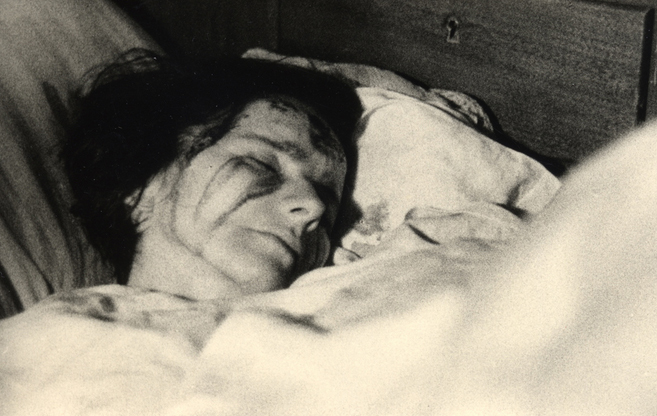 From this time until her death on February 6, 1981, Marthe never left her parents' farmhouse. Her life was entirely given to prayer and to hospitality. She lived her life with God with great discretion, and she disliked having attention fixed on her. But her constant suffering did not prevent a generous hospitality, and her giving full attention to the many people who visited her to share their concerns. Those who came - young and old, neighbours and strangers, believers and unbelievers - all appreciated her youthful spirit and joy, her wide interests and her strong, practical judgement. The Chateau - One of the Divinely inspired projects in the heart of Marthe Robin was to build a Christian school for girls. Her spiritual director, Father Faure felt this project was doomed to failure, because the town and in fact the whole region was quite overrun with “free thinkers” who were not in favor of Christian schools. It took two years for her to convince him to make the first steps for the project. He consulted all the Priests of the Canton, 17 at that time, and 16 of the 17 thought the idea was “crazy”, given the prevailing spiritual climate of the area at that time. The Foyers de Charite - The second Divinely inspired project in the heart of Marthe was the “Foyers de Charite” (Houses of Charity) , which where something totally new in the Church—they are retreat houses built and organized by consecrated lay people, and directed by a Priest. The first Foyers de Charite retreat took place on September 7, 1936, preached by one of Marthe’s close friends, Father Finet. As of 2006, there are 75 Foyers in 41 countries. Visit Marthe Robin's Foyers of Charity [here]. See/view videos about these events [here] and [here].